God is just full of surprises. Adam and I had decided we were done birthing children. We “thought” adoption was the plan. God’s plan to be exact. He had placed it on our hearts so that was what we were going to do. We had put our home study in for a couple of different sibling sets and individual children through the months of December and January. We had done the newborn thing 4 times and were wanting a toddler to young child to adopt out of foster care. God calls us to take care of the orphans, so how could this not be God’s plan? Well obviously we were doing the thinking and taking control instead of really letting God have a say. But His way, always wins. Adam did, but I told him we should wait a year and pray about it. On July 15, 2017, during a service at Crossroads, we had a guest speaker none other than the amazing Jo Saxton. At the end of her sermon, she asked us all to pray. She said think of something really hard that you have been through or going through. (I’m paraphrasing) Well, you would think I would envision Evy and the grief that accompanied her death. But instead I had a vision of me being pregnant. It wasn’t a past tense vision, because my last pregnancy with Alayna was really hard, but this seemed to be in the future. It took me by surprise. I had shared this vision with a friend and she said maybe it was more prophetic as like I’m pregnant with a thought, instead of actually pregnant. But the image was very clear and burned into my mind. I can remember exactly where I was sitting at church, Jo Saxton standing on stage / screen, and me with my eyes closed in prayer with a vision of me being pregnant. Well you would think that would be a big enough sign / direction given by God to tell me that we weren’t done having children. But I tucked it into the back of my mind and onward we went with adoption. I was a month pregnant when we were putting in home studies for children to add to our home. The flu was going around really bad and I just thought I had a slight touch of something that was making me queasy. I was leaving for Nicaragua on a mission trip in a week and wasn’t feeling much better. And then it hit me. I called my husband, who was at work, and asked him to stop by the store and bring home a pregnancy test, totally catching him off guard. The pregnancy test instantly went to two pink lines. Surprise, I’m pregnant! Fast forward to 20 weeks pregnant. We decided to find out the gender of this baby. With the three girls, we always waited until the birth. But this little one was a big enough surprise that we decided to go ahead and find out the gender. After having 3 girls, I just assumed this would be a girl too, which was fine because I had plenty of names I wanted to use still. Surprise, it’s a boy!! For anyone who follows me on Facebook, they might have noticed the look on my face when the blue balloons popped out of the box. Excited was not the word you would use to describe my facial expression. In complete and utter honesty, I was worried about how I would bond with this little boy. I couldn’t envision having a boy. I already felt disconnected from him and he was still growing inside me. It was an internal struggle. I can’t explain why I felt this way, but it is the raw, naked truth. But it wasn’t only just the gender, the thought of nursing again and sleepless nights, and recovery from delivery, was all overwhelming me. The day of arrival, August 31st, with a fast 2 hours of labor, this baby boy was born. Franklin Jameson. 8lbs 9ozs. Born on what would have been his Great Grandpa Frank’s 100th birthday. The doctor laid this sweet precious baby boy into my arms. He was perfect from his round head to his bright eyes, down to his outstretched toes. God had a perfect plan. He knew exactly what I needed. He knew I needed this little boy. So much love pours out of my heart for him in these 10 days that I’ve held him in my arms. I had a slow recovery that had me on bed rest for several days in a lot of pain. But I can’t really complain about that. I feel it was God’s opportunity to allow me to slow down. To enjoy this time with my sweet baby boy. We had time to bond, snuggle and just relax as a new mom and baby should. If I didn’t have this hematoma, I would have been doing some work in and out of the office, taking care of the older children and probably planting mums. But instead, I loved on my son. My sweet son. Yes, God knew what He was doing. He is full of the best surprises and has way better plans that I could dream. I love you Frankie James and I’m so glad the balloons were blue. Sweet girl, life is so unexpected. The more I tried to control everything, the more it fell apart. Three years ago this Labor Day weekend, we had survived three months without you. We had so many mixed emotions. We were still grieving and trying to navigate the new normal. But we had a glimmer of hope. I was pregnant. It was the hope me and your daddy needed. Something positive. We found out very early and scheduled our first doctors appointment immediately. We were eager to see pictures of our little poppy seed. We planned on waiting until 12 weeks to share with family and friends while we navigated our emotions. We didn’t want anyone to think that this was a replacement of you or that this would make everything ok. We even had a few people tell us they couldn’t imagine us having anymore kids. So we felt waiting seemed best. We secretly went to our first doctors appointment. The pregnancy test was positive and the OB doctor asked if we wanted to take a peek on the monitor. Of course! We instantly saw our little peanut on the screen and a little beating heart. The excitement and joy that filled us in that moment was a breath of fresh air. We needed this. But she saw something else. The ultrasound tech wasn’t on staff that day so the doctor wasn’t sure what the other little shape was that we were seeing. She wasn’t sure if it was another little baby, a twin, that didn’t make it. There was no heartbeat. We were instantly a little nervous, but tried not to concentrate to much on it since we weren’t sure. We wanted to stay in our joyous state. Labor Day weekend was upon us. We had a surprise anniversary party to attend, a co-workers cookout, preparations for your first run, Evy’s 10K, and our Celebrate Evy shirts were ready to be picked up. Not to mention the excitement of the baby growing in my belly. After work on Friday, your daddy and I dressed up for the anniversary party. After putting my dress on, I had a sharp pain in my side. The quick, sharp jab made me sit for a second, but I moved on quickly and we headed to the party. If only I knew that our joy would be so short lived. That getting our hopes up so fast was irresponsible. We had no control over this. We had no control over your life Evy, and we had no control over this 7 week, 1 day year old growing baby in my belly. The bright red blood that I saw, quickly dashed our hopes. We left the party. I couldn’t be there. I needed to be back home. Home in my bed and in the covers that wrapped me the last three months that I cried for you. Your daddy scoured the internet looking for hope that this wasn’t a miscarriage. It was of course Labor Day weekend. This was Friday and we would have to wait until Tuesday to see the doctor. He begged me to call the OB doctor on our way home. We didn’t have her number personally, but through our work database. I didn’t feel comfortable using the number. He wanted to go to the hospital, but again, I felt there was nothing that could be done. You daddy was desperately hoping something could be done to save this baby. As the weekend progressed, cramping began. We tried to fake smiles as we attended the rest of the weekend’s activities. We told a few immediate family members and a very few close friends of our uncertain future of the very fragile baby. But Tuesday morning confirmed our fears. The picture on the ultrasound showed a swirling of blood with no little peanut heartbeat. 7 weeks and 5 days I carried the little peanut. I was tearful but not distraught. I was numb. Two children gone in 3 months. I was already in the infant loss club and now I had a membership to join the miscarriage club. These clubs are never wanted, but more of a cage your momma got placed in with no escape. We hardly told anyone. We couldn’t handle any more sympathy. We couldn’t handle any more tears shed for us. I felt we would be looked at with sad puppy faces. Even the few people we did tell, some cried and asked how God could do this to us. They asked questions that I couldn’t possibly know the answer to and were not helpful. I didn’t know why this happened and I was desperately trying to navigate a relationship with God and having others doubt Him, didn’t help. I was refusing to be angry at God, but I was in turn getting angry with others. I was mad when people would talk about their petty problems of fantasy football. I was angry when someone was complaining about wanting a newer car for vein reasons. I wanted to scream. I had lost all compassion. This was my form of grieving. It was messy and not pretty. Your momma was losing her strength. Where was God? I needed Him and was lost. I had trouble at first finding Him. But as I look back, He was there. He was holding me and grieving with me. He was in my friend Christy. The day of the severe contractions and miscarriage, she brought ice cream to our house. She didn’t know anything about the pregnancy or the miscarriage but showed up. Your grandma said sweet words that I will never forget. She said this baby had a soul and would be your soulmate Evy. Neither of you would be alone and would have each other. It was an image I needed to hear and visualize. God was there in a friend that shared about her miscarriage months ago. Through her telling me the details, I was better prepared to handle mine. God knew my needs and He met them. Some were in preparation of what was to come, others the day of and during the next few weeks. He held your momma just like He was holding you sweet girl. He was there in the sorrow and the pain. He also helped me restore my compassion along with correcting my jealousy. They went hand in hand. I was jealous that fantasy football was someone’s biggest problem. I wanted to go back to those days where the world seemed like it was ending because I didn’t get something I wanted or thought I needed. But God healed my heart. I had changed and I couldn’t expect others around me to change. Their children were still living and mine were not. You were gone and your little soulmate. But as I continued on this walk with Jesus, He has restored my hope. When I put my hope into things outside of Jesus, my dreams will surely be crushed. I now have my eyes on the one who can only hold my dreams. If I keep my trust in Him, He will put the right people, the right verse, the right road to travel to meet my needs. He is faithful and has proven this to me over and over. This is why I can say I’m truly blessed. I put my hope in Him. I love you my darling dear and my love will find you wherever you are. Sweet girl, I just typed the morning of your last day. It would make anyone weep. Tears have flooded down my face this week as I remember parts of the hospital stay. It’s just too sad. So as I finished writing it, I felt there were a few things that were left out. There was beauty in that day. So I deleted the other post and I’m going to recount the beauty of your last day on Earth. Three years ago today, we woke up in the PICU at Children’s Hospital. We had a sweet friend, Kelli, bring us breakfast that morning. She packed muffins and fresh fruit. It was perfect and sweet. The nurse we had on your last day, was simply the best. She took one look at you and saw red flags and jumped into action. While she was setting up the bed for your cath and central line, she asked if I would hold you. I was hesitant because I didn’t want to slow down the process. She insisted. It was the last time I held you. I am so grateful she insisted. I was able to hold your beautiful little self, one last time. The waiting room that day was packed. It was full of love for you. It was a beautiful mix of prayers, tears and smiles. They were all for you that day. We were so blessed to be surrounded by loved ones everywhere. This is the most beautiful part of that day. He wiped your tears. He saw your pain and took it away. He defeated death and took you home. Your life was beautiful and so was its ending. If we choose to focus on all of what is sad, we can miss out on the beauty. We could miss the beautiful pink peonies that are blooming. We could miss the sweetness of your smile. We could miss all of the good God has blessed us with. I’ll say yes to the beauty of your life sweet girl. Sweet girl, you have started me down a path. A path that is hard, but a path that I would not change. You connected me to Jesus. Following Jesus is not always easy. It is hard. It is hard to distinguish my own thoughts from His; to truly be obedient and listen to Him. Two years ago, God spoke to me and called me to be a disciple of His. He spoke that truth to me through His words in the Bible. But does He always speak that clear? Today I’m feeling lost. This whole post is a ramble of my thoughts. It’s not a normal post. It might not flow well, but my thoughts aren’t flowing. What is He specially calling me to do as His disciple? During our last church journey, I felt Adam and I were being called to be prepared. I’m not sure what God has in store for us next, but we want to be able to say yes when we are asked. So these thoughts that are in my head, are they really God’s? Or am I just being impatient and trying to make my own path. Do I just need to be still and then I will get clarity and know. Or is He shouting at me and I’m hesitant to say Yes. Some of the ideas seem crazy and not my own, but that could just be my mind wandering. 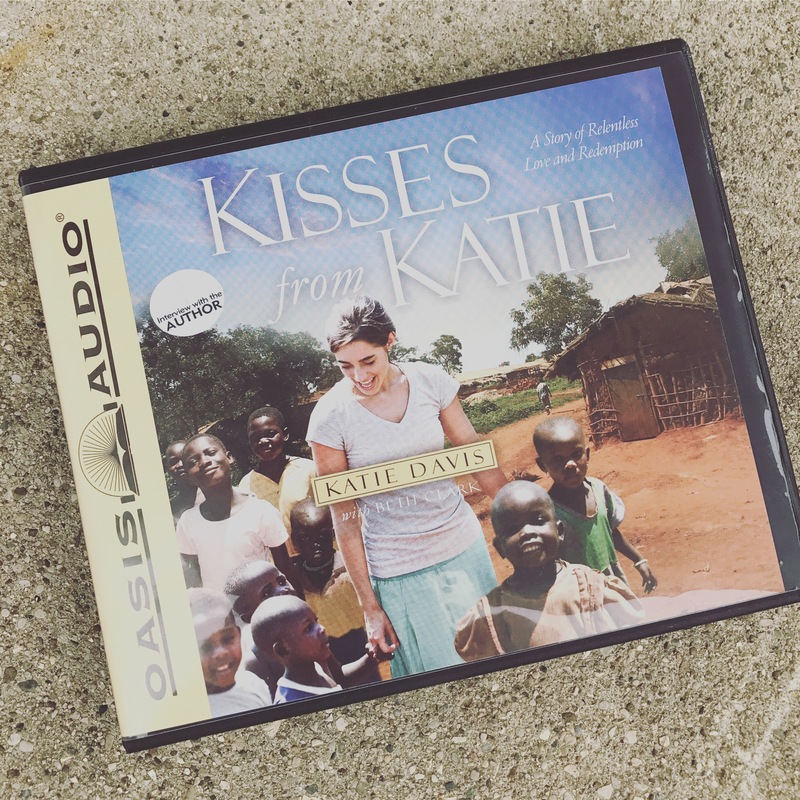 I just finished listening to an audio book, Kisses from Katie by Katie Davis. Amazing story of her love to serve Jesus. She is not living like a Christian, but living like Christ. It is amazing at the difference. I know I’m not being called to go to Uganda, but He does call us all to love Him with all our heart and one another. He also calls us to care for the orphans and widows in their distress. She does that. Whole heartily. She has adopted 14 children so that she can show them love, so they can feel their Father’s love. It’s a humbling book to read. These people truly have nothing, but praise God for everything. It puts the wealth we have into such perspective. She said yes. It wasn’t easy. She had to be selfless and turn everything over to God. It was hard. I had a friend text me the other day. She has recently accepted Christ in her life and was asking how to respond when someone was questioning God, because she sometimes struggled with these same questions in the past. My Friend: He said there are things that are happening that make him a believer and things like famine and war and stuff that make him question his faith. What do you say to that? My response: So just as much as you believe there is a God, there is also a Devil. So there is always a battle. But Jesus wins every time. Yes there is a lot of suffering and brutality. Jesus himself endured suffering tremendously and was brutally beaten to death. But never does God say everything is going to be roses. It’s amazing when you actually start reading the Bible, the real truth is all there. I think Christianity has a misnomer about it and that if you believe, everything will be lovely. Christianity is giving your life, your whole life, over to Him. Do I do this? No, I fail miserably but He gives us so much grace and loves us unconditionally anyways. But he calls us to love everyone, even our enemies. Do we do that? No. That is why there is war. He calls us to look after the widows and feed the poor. Do we do that? No. That is why there is famine. But each person who turns there heart in the direction of Jesus, slowly starts changing the world, one person at a time. God gives us free will, otherwise He would have mini robots. But with free will, war and famine exist. There are a lot of noes in my answer and not a lot of yeses. I call myself a Christian but can I say I truly love my enemies and that I’m doing everything in my power to feed the poor? What if I could say yes. The more scripture I read and the more people I listen to who have a heart for Jesus, encourages me to slowly keep turning more and more of my life over to Him. It’s all His. My money, my family, my house. And I’m ok with all of that. I just want more direction. Or has He given me direction and I question it? I put it out of my mind because it seems crazy or impossible. When God spoke to me in scripture to be a disciple, it was clear as day. When God had us adopt Elijah, clear as day. But those were easy things to say yes to. Second weight, we received word about a young toddler needing a home, through a text message. (I’m starting to think all babies get adopted through test messages?) The tiny boy has some special needs that seem a little overwhelming for us at the moment. He is listed as failure to thrive. Most of the needs should go away after he is shown love and given nourishment. Oh how I want to wrap my arms about this toddler and show him God’s love. I want to rid him of the label ‘failure to thrive’. But with Adam and I both working outside the home, it seems impossible to give this child the care he needs. It would be hard. Really hard. Does that mean I’m saying no? This spoke straight to me. After reading Acts with Adam and listening to Kisses from Katie, God calls us to go way past the comfort of our life style. To do the hard. To trust Him fully. He doesn’t say it will be easy, but He does say He will guide us and give us the strength we need. I was taken back to what I had read when I first opened up Isaiah. Isaiah 41 (10)Do not fear: I am with you; do not be anxious: I am your God. I will strengthen you, I will help you. (13)I will grasp your right hand; Do not fear, I will help you. So help me God. If You are not calling me to these things, let someone else step in. Let my yeses be Your yeses. Speak clear to me. I will continue to listen for You. I will Be Still. Give me guidance oh Lord and let Your will be done. I dreaded new group meetings. You’re sitting at a table. Everyone takes turns introducing themselves. The basic questions: Name, age, what you do, how many years have you been married and how many children do you have? But the last question would give me so much anxiety. I just wanted my turn to be skipped. Introductions are supposed to be surface level, get to know one another, not oh by the way, my 10 month old daughter passed away. It’s a real buzz killer as everyone is smiling and talking as they get to know one another. It would seem easier to say I just have three children and leave the depressing story of losing a child to a later, deeper conversation. But I have four children. And that is part of me and has shaped me more than the years I’ve been married or what I do for a job. Not to mention the mom guilt. Yes I might be at peace with Evy living in heaven, but it doesn’t mean that I have huge mom guilt if I don’t include her in the family. What parent doesn’t love to brag on their children. Evy was the biggest blessing in our lives. How can I possibly leave her out? The thought of not mentioning her leaves me short of breath, creates a huge hollow feeling in my chest and more anxiety than the introduction. It’s a feeling hard to explain unless you’ve lost a child. I also don’t want Evy to think I forgot her. It brings me to sobbing tears as I write this. I can’t explain the heartbreak I would feel as her mother if she thought I have forgotten her. I don’t need the world to know who she was or make her famous, but she is not forgotten. I can’t even go into more depth than that. There are no words, just horrible feelings. As everyone goes around the circle introducing themselves, I am going over my intro in my head of how should I word this. Most times I would cry. If I was lucky enough to have my friend Anola with me, she would shed tears before I started because she knew how I felt. Her tears allowed me to just say it without crying. That’s a good friend. So yes, you may only see my three children, but I carry four in my heart. I might only have three mouths to feed and only three to get dressed in the morning. But the absence of the fourth mouth and the absence of the 10 extra toes is sometimes bigger than actually taking care of four. But God is good. He answers my prayers and knows my fears. The birth of Elijah has made the last 3 months a lot easier in introductions. I don’t sheepishly say I have 3 children. I boldly say I have 4 children. Others might now judge me that I talk about all 4 with a smile on my face. But when God is that good and has blessed us in so many ways, how can I not smile when getting to share my story? Yes we had a daughter pass away, but God in his infamous glory gave us a son who was born 3 years later on our daughters birthday. Does Elijah replace Evy? Absolutely not! But God gave us a gift that is the light spot in the dark story. I smile because God continues to bless us and provide for us. I was at peace with Evy’s passing before Elijah, but God took away a fear I constantly was facing. So go ahead and ask me how many children I have because it gives me an opportunity to tell you how great my God is. God has a plan. We try so hard to figure out the plan on our own and think we know so much more than what God is trying to tell us. But He is in control. When we decide to take a back seat and let his plan unfold, that is when Amazing happens. David says it best: Your works are wonderful, I know that full well. (Palms 134:14) And now I truly know it. 7 days ago was Evelyn’s Birthday. July 12, 2016. She would have been 3. Ava wanted a birthday party for her little sister. She wanted friends to come over and even offered to open up any gifts that Evy might receive. We had cupcakes for breakfast and picked green beans. We knew we wanted to have a fun family day and decided on Coney Island. Adam, Ava, Alayna, both grandmas and cousins came along. It was the perfect birthday of sadness and celebration. On the way home at 7:30 PM, we received a text message. How serious are you about adoption? It seemed like an odd question, but I replied that we were very serious. We took classes and were officially licensed to foster to adopt. That was our plan. Maybe a girl, toddler age. But we were semi-open to other possibilities. She replied that a friend of a friend of a friend had a baby the day before and was giving him up for adoption and would we be interested. Of course we were interested! We saw pictures of the little peanut and thought we would see where it led. We received a text at 11:00 PM asking for a short bio of ourselves. A family friend was collecting info from all potential parents to pass along to the grandma. I passed on as short of a bio as possible, but it’s really hard to fit Evelyn’s story in a short bio. I sent along a family picture that we had taken during the day at Coney Island. The lady (Dawn) seemed to love us and said she would send on our information. Dawn let us know that the birth mom would contact all potential parents in the morning. We couldn’t help but think that this all happened on Evelyn’s birthday and was this a gift she was sending us. We didn’t want to get our hopes up, but it just seemed too perfect. We went to sleep and updated Adam’s mom early in the morning to let her know. My mom was in the car with us when we received the first text so she was already up to speed. We felt if it all worked out, then it was meant to be. If not, this wasn’t really our plan and we would be okay if it didn’t work out. The next morning came and went with no phone call. We were a little bummed but felt that a better suited home was found. I texted Dawn to let her know that even though we weren’t chosen, let us know if we could help in any way. 5:30 PM we received the phone call. It was Dawn. She was giving me the number of the grandma. I called the grandma and she gave me the number of the birth mom and it was the first I learned her name: Naomi. Calling the birth mom was nerve racking, but my adrenalin was pumping. I started dialing her number and realized I should probably call my husband first. I needed to let him know what was happening and to make sure he was ready to do this. He said yes. Talking to the birth mom on the phone was confusing. We didn’t seem to click and I had no idea how to lead the conversation. We had been planning on adopting through the foster care system, so parents would not ever be involved. This was new world to us. As I asked if she would like us to come up and meet her and the baby, she asked if we could wait until the morning. What? Wait? How could we possibly wait! I wanted to fly there as fast as possible. As we continued the conversation, she went on to say she had a cesarian section. Nurses were in every 2 hours. She was exhausted. My heart instantly filled with compassion. She was making the hardest decision of her life. She had met with other potential parents and none fit. She had to have so many emotions flowing that she just wanted a fresh start in the morning. Friday morning we crossed the river into Kentucky to meet the birth mom and our potential son. This just seemed crazy. It all had happened in less than 48 hours. On our drive, the car in front of us had a license plate that said Evy. She was leading the way. At the hospital, social workers met us and took us to see Naomi. The love I instantly had for Naomi is indescribable. I couldn’t imagine being in her shoes. She loved her son so much that she wanted a better life for him. Who is that selfless? Naomi. I slowly went into our story and just kept talking. I felt like we were chosen before we ever finished. In my opinion, we just clicked. Then we asked the question, “So when was he born?” We were told by our friend the 11th. She clarified it was July 12th. Evy’s birthday. Three years after she was born, he was born. Same day. She asked if we wanted to see the baby. The little boy was so tiny. It had been less than a year since Alayna was born, but we forget how tiny newborns really are. Naomi and her grandma were teary as we held the tiny boy. Naomi wanted him to go to a loving family and she saw that in us. 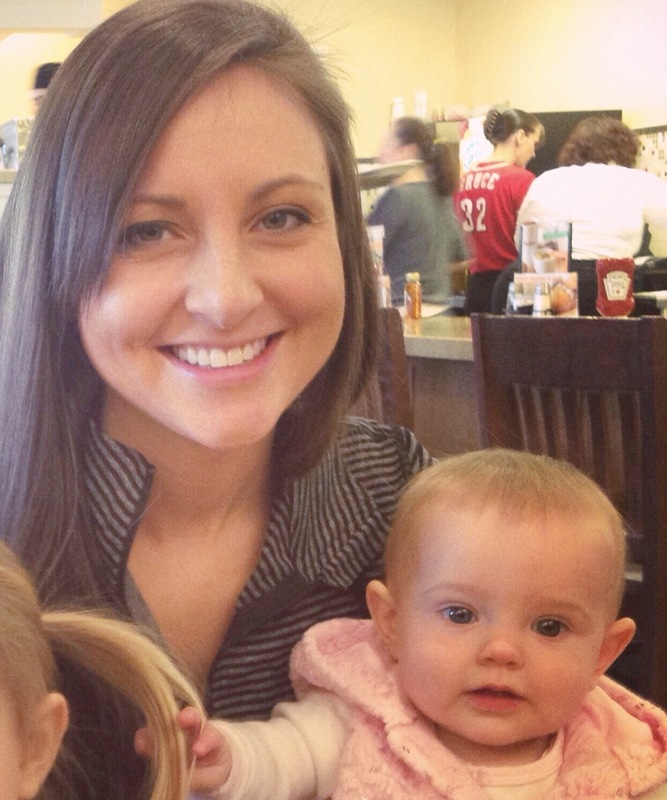 It filled our hearts when she told the social worker that she found a family for her baby. She let us know that the hospital had told her she had to pick out a name. She wanted to know our thoughts on Baby Elijah Aden. Perfect. I loved that she had picked out the name. The name will always be with him and it will be a great story to tell him one day that his birth mom loved him so much that she chose his great name. I think we could have all sat there forever, but then reality hit. We had to call the lawyer and get paperwork moving fast. It was Elijah’s last day in the hospital before being released. We quickly learned that if we did not get temporary custody fast, then baby Elijah would either go to Catholic Charities adoption agency or foster care in the state of Kentucky. There was no guarantees that Catholic Charities would approve us for the adoption. If he went into Kentucky’s foster care system, we would have zero chance of adopting him. Our peace disappeared. Our lawyer specialized in adoptions and interstate adoptions. Crazy that the Ohio River is what separated us from being Elijah’s parents. An imaginary line that is drawn on a map makes all the difference. Indiana vs. Kentucky. The mom chose us, but that didn’t matter. Good news. Our lawyer was able to buy Elijah another night at the hospital since the adoption plan was moving forward. Huge sigh of relief. Naomi was released from the hospital and Adam got the ok to spend the night in Elijah’s room. The nurse that was assigned to Elijah’s room that night was a petite woman with a big smile. Her name was Evelyn. How amazing. I went home to get the girls and spend the night with them. I wouldn’t go back up to the hospital until papers were ready to sign. I didn’t know life could move so fast. One day we have three girls, the next day, we have a son. Adam called me in the morning letting me know he hadn’t heard from the lawyer yet, but that as soon as the papers were sent via fax, he would let me know. Then we heard that Naomi had to be present to sign papers too. She was already released. We had to contact her and hope that she was willing to come back to the hospital. I was hoping her part was all done. I knew her heart was hurting. Papers weren’t signed until the afternoon. I went into the room and held Elijah while Adam faxed papers. When he came back in, Adam told me about Elijah’s ethnicity. Naomi is a mix of Black Cherokee and Caucasian. The dad is Hispanic. I was so excited. What a beautiful combination that made our son. His skin was flawless. We were giddy with excitement as we sat waiting for the okay that Elijah was ours. Time was just flying by. Then we realized how fast time was flying by. The social worker came in to let us know about Plan B. I didn’t want a Plan B. Catholic Charities was Plan B. Catholic Charities is a great adoption agency, but it didn’t keep Elijah as our son. We quickly texted panic prayer requests instantly. We let everyone know that we had one hour and fifteen minutes of intense prayer to make Elijah ours. I turned on my phone and let worship music fill the room. The Christian band United Pursuit softly played and I prayed the hardest I have ever prayed. Deep, meaningful prayer. I prayed for mountains to move and seas to part. For time to slow. I prayed that God would bless all hands involved. For miracles to happen. I asked the enemy to leave the room. Too much of this was directed by God and signs of Evelyn were everywhere. With not a minute to spare, the lawyer called and said we were granted temporary custody. We could leave with him from the hospital. Exactly three years after Evelyn’s birth, a little boy was born. Elijah Aden. And he was ours. Sweet girl, I’m not sure why I become uber emotional when flying, but as the plane takes off, I have tears streaming down my face thinking of you. Maybe because I have no other distractions and rarely find myself having time to let my mind wonder. I was just saying a little prayer and realized how different life has become these last 5 months. Your baby sister has turned 5 months and has brought my heart so much joy and happiness. I feel so full of love and not so broken. She is a wonderful blessing. I see parts of you in her, yet she has her own features. It soothes my aching heart to see these glimpses of you and helps to bring back real memories of your life. But at this 5 month mark, it also makes me sad to think that 5 months was half of your little life on earth. Only five more months we had with you. I have told your daddy more than once, not to his liking, that if I would pass too early in life, not to mourn me. I wanted him to know that I would be happy being reunited with you. I wanted him to be at ease. Well obviously he wasn’t going to be at ease and wasn’t too fond of my thought. He would be happy to know, I have changed my position. Your baby sister has given me a whole new reason to live – to really live. Alayna needs her mommy. Her youth and innocence need molding and shaping by a mother’s love. Ava, I thought would be fine because she is such a daddy’s girl, but who would then referee their arguments? As I sit on the plane and think of traveling with my mom and how we used to play hangman and tic tac toe in flight, it makes me excited to do those things with your sisters. So much life to live. Most of all, I realize you don’t need me. You don’t need me to be by your side. You are sitting next to our Lord and Savior, tucked in at night by Jesus’ gentle hands, wrapped lovingly in the arms of an angel. I did my part. I gave you love and sweet kisses. I rocked you, nursed you and sang lullabies. I held your little hand as you went walking into the blessings of eternal life with our King, because you my child, are a princess. Sweet Girl, today I am so thankful for many things, but mostly, this little hand. The staff at Children’s Hospital was amazing after you left us. They came in and took molds of your tiny little hand and a locket of your precious little hair. Such real and tangible reminders of you. Some days I love looking at pictures or just thinking of memories, but these few keepsakes are real reminders of how your little hand was so tiny, but yet chubby, and that your hair was turning sandy blonde. I can feel you holding my little pinky and resting your cheek against mine when I see these sweet visuals. We would love to keep these little keepsakes out on display, but too worried that they would break. So we keep them in a chest and only get them out when needing a little extra love. I can mark the last three Thanksgivings by your life. Three years ago we announced we were pregnant with you. Two years ago we had our first and only Thanksgiving with you. Last year was our first Thanksgiving without you. “They” say the year of firsts is always the hardest, but that isn’t true. Each day is different and each year is different. I’m just so thankful for these little gifts. Love you sweet girl and Happy Day of Thanks! Dear Evy: You’re a Big Sister! Well Evelyn, I would like to say you have been the center of our world for the last year and a half since your departure to Heaven, but your new sister is trying really hard to keep your momma busy. 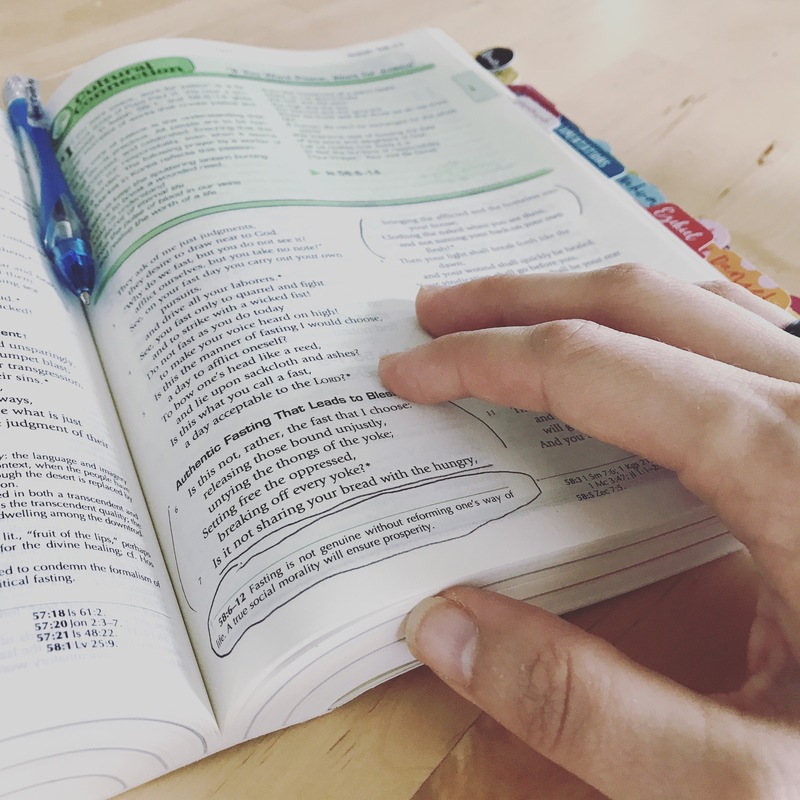 Between the horrible nausea and fatigue during pregnancy and the nightly nursing and lack of sleep since the birth, I have not had a chance to even think about writing. Luckily I use instagram as my mini blog to get me through all of my emotions! There is so much I have wanted to say, but introducing your sister to the world is first on my list. Welcome little baby sister Alayna Grace! I couldn’t have been more happy during delivery when your daddy said, “It’s a Girl!” Oh I was so so happy. I hoped so much for another little girl. God is good and he blessed us with sweet baby Alayna. You were with us the whole time. Not only did I feel your presence, but we took your framed picture and one of our Evy Bears that is made out of your clothes. I wanted them in the delivery room so if needed, I could look to you to give me strength. As they passed your sister to me, I had pure happiness in my heart and instant joy. Although, your sister didn’t follow my instructions very well and I needed you for strength. We were supposed to have an hour of skin to skin time unless the nurses felt it was necessary that your new sister would need extra care. Well your sister wanted to do one of those long silent screams and didn’t want to inhale. She came out kinda blue was turning purple. They were trying to work on her while she was laying on my chest, but she wasn’t really taking any breaths. Maybe she didn’t get the memo, but I checked the box for breathing, perfect baby! No scares, no concerns, just perfect. I finally said, “you can take her!” so that they could get her back to perfect and I could live out my pure joy feeling. The nurses took Alayna and sucked out goop and was checking her heart rate and kept saying numbers. My OB kept reassuring me that those numbers were good and had a wonderful smile on her face. She was probably overplaying it due to my slightly panicked face. The nurses never panicked and were very serious because they were doing their job wonderfully. But I wasn’t looking at Alayna, I was watching one nurse in particular to see her facial expression so closely to see if it ever strayed to panic. But it didn’t. This all happened probably under 1 minute but felt like I was counting minutes and wondering how many brain cells were being lost as my baby didn’t want to inhale. This is all very common I am sure, but again, I wanted perfect. So finally they handed me back my sweet, non purple, baby. I was filled with so many emotions. Tears streamed down my face as my heart was filling with instant love for this new little baby, but yet it was bittersweet. I wanted you to be there in the flesh to see this new little sister of yours. I could picture them handing you to me the exact same way. It had barely been over two years since I was in that same hospital feeling a connection to you that I have never felt before. You have taught me to embrace every moment. So those first few minutes of holding your sister, I just stared at her little squished up face. She resembled both you and Ava, but definitely had her own distinct look. She is already six weeks old. It’s crazy how fast she is growing up. But your Daddy and I are very clear on one point. When other people say, “Oh they grow up too fast” or other sayings of that nature, we just simply want her to grow up. Yes it might happen fast and we might blink and another year has gone by, but that is another year that she is in our arms and we are getting to watch her grow. With you, it stopped too soon. We can only dream that we could blink and you would already be two and walking around with your big sister and trying to help out with your little sister. But even though that will never happen, you can not be replaced, you will always be loved, and you will always be mommy’s girl. Oh how I miss you. Before I was even pregnant with our second child, I knew I wanted another girl because I had the perfect name picked out. My grandmother’s middle name was Evelyn and she had always loved the name Sarah. And I thought we would call her Evy for short, and I just loved the way Ava and Evy sounded. Adam hated the name and said no. That didn’t bother me, because I knew that would be her name. My mind was made. He said only 80-year-old women are named Evelyn. Well my Evelyn didn’t make it to 80, so there are also Baby Angels named Evelyn. Evelyn Sarah was a mommy’s girl and I just loved that. She was just all mine. Other’s would hold her, but if she started to fuss and I would take her, she would just smile and smile, “Like look, I just got exactly what I wanted, my mommy.” She would just grin. During her final day, they were trying so hard to put in another IV and they were trying to find an artery with a tiny sonogram. So I was talking to her and they said she could hear me, because whenever I spoke, her heart rate went up. So I just kept on talking. All the prayers didn’t save my little girl, but they gave me so so much strength during her final moments. I was able to cherish and love and talk to her and enjoy her final moments. I thank everyone so much for giving me that strength through prayer. A friend of mine put it in a new perspective for me and passed on something she heard before – God did not take our daughter, it was not His will. It is not his will to let bad things happen. God was all around her and he was simply there to catch her in his arms as she fell. Right then, I knew that was her. It was the sweetest gift she could have given me. It was just wonderful. She was the most happy and simple baby for the 10 months that I was able to cherish her. To be negative about this whole experience would only get in the way of all my wonderful memories. She was put on this earth for a reason so I am going to try to learn from her and be happy and lead a simpler life in honor of our happy, simple baby. She made quite an impact on all of us in those 10 months. Oh I love you so so much Evelyn Sarah and am so so proud of you.